Human societies throughout history and all over the world have organized themselves around living with others. Yet in the last 15 years, there has been an 80% global increase in people living alone. We’re wealthier than our ancestors and the cultures we live in value individualism and independence – we have the freedom to house ourselves in smaller family units or without a family at all. 34% of UK households now have just one person living in them. So is the modern individual more familiar with solitude than ever before? 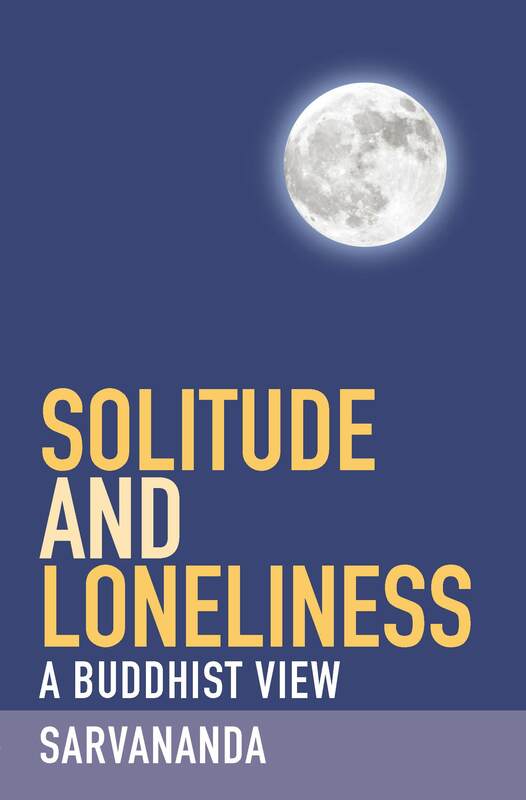 In his new book, Solitude and Loneliness: A Buddhist View, Sarvananda explores the themes of solitude and loneliness and how a Buddhist might deal with these emotions. He suggests that, despite the statistics, we still ‘very skillfully, and often unconsciously, organize our lives in such a way as to avoid loneliness.’ Although increasing numbers of us live alone, we are also continuously coming up with new strategies to distract ourselves from our solitude. The technological advances of modern society allow us to communicate with others even when we’re physically isolated from them – I may be sitting on my own in my flat, but thanks to instant messaging and social networking sites I can still feel connected with my friends and family (and perhaps also a large number of people that I have never met). Our hundreds of facebook friends and Twitter followers ensure that we’re never lonely, even if we’re alone. Sarvananda’s Solitude and Loneliness: A Buddhist View is available to purchase at your local Triratna bookshop and from the Windhorse online store.